Govt is planning to sell a part stake(26%) of 56% it owns in Bharat Earth Movers Limited(BEML) which is a core manufacturer of railway coaches and components. BEML is a public company with 44% being traded in share market. Government Aims to find a suitable strategic buyers to offload its stake. Modi government is moving in a direction to provide autonomy to most of the government lead organizations and keep them in path of profitability. This also strengthens the BEML business as it will have less political influence on operations. 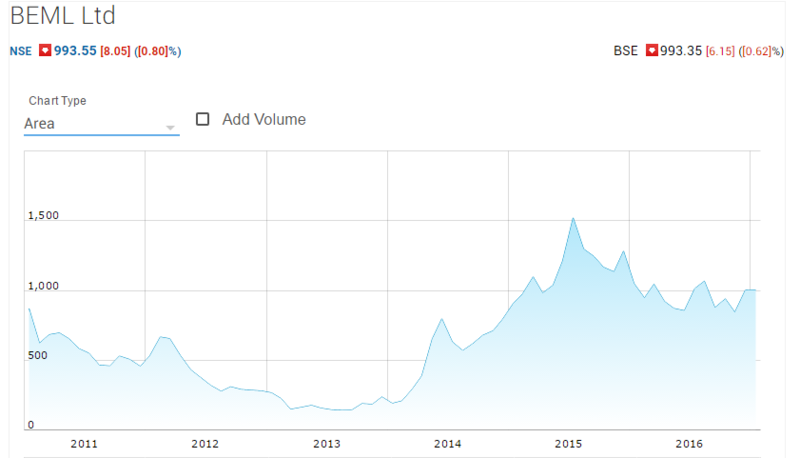 The move coming before railway budgets is going to have positive impact on the stock, currently stock is trading at 960 level and the highest level was 1518 during 2015 july.